My sell off has been pretty successful and all that is left are half of the French. 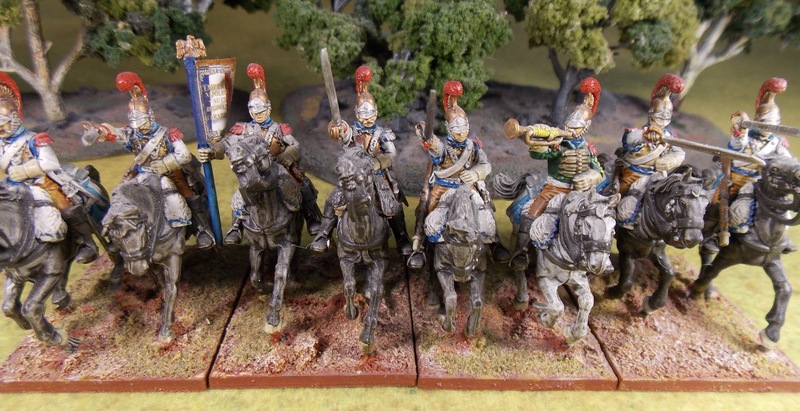 Most of the first rate infantry is gone, what is left is some plastic Victrix and Perry as well as one regiment of Foundry legere. More about these later. 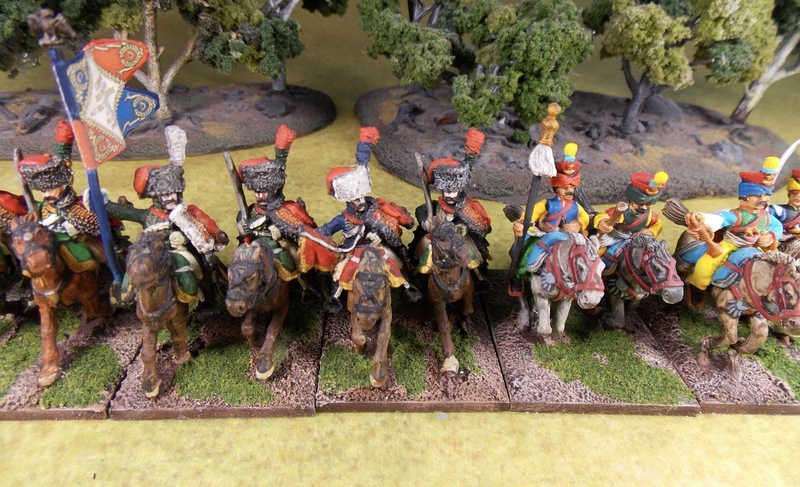 What I would like to sell now is the remaining 5 units of cavalry and one remaining battery of artillery. 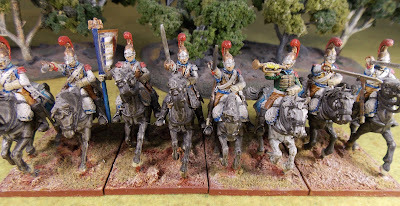 The cavalry are quite nice and I believe painted to a fairly well war-games standard. 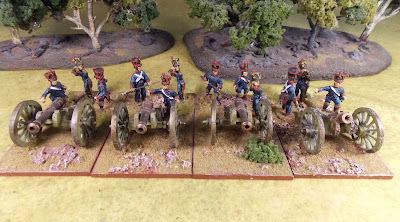 The artillery are some nice cannon but I believe the figures are Bicorne, a particularly nasty brand and thus are going for a song. 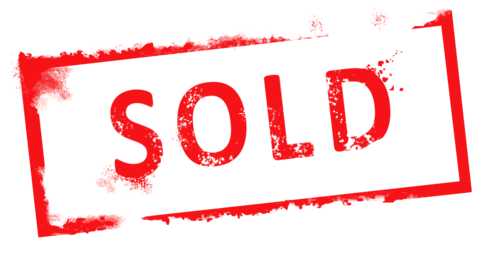 If someone comes along and buys all six units then 10% off and free shipping. Otherwise paypal only and shipping by USPS Priority Post. Shipping will vary from 6-12$ depending on the box size. All on 40x45mm Litko bases. $8-9 per figure. 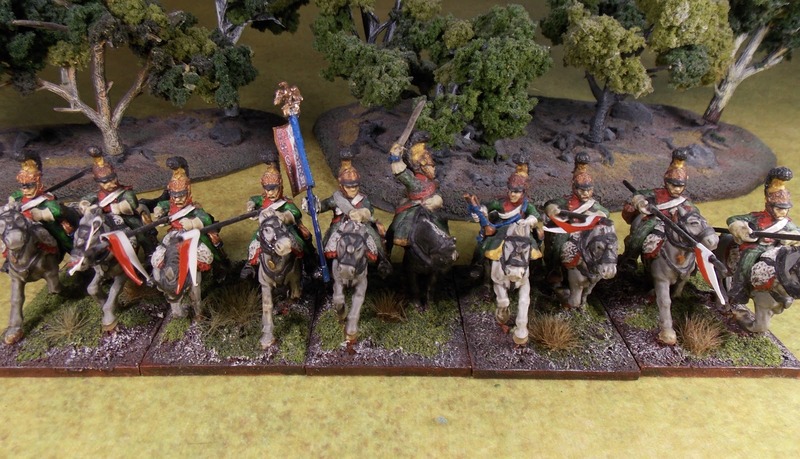 10 line lancers by Foundry, somewhat early painting so priced accordingly. 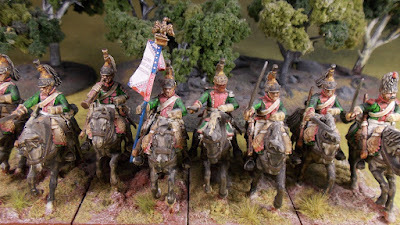 8 Plastic Dragoons from Perry, well painted. 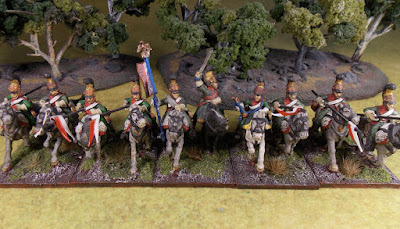 8 Plastic Carabiniers from Perry, well painted. 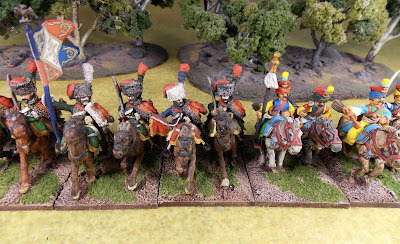 12 Plastic Cuirassiers from Perry, well painted. These are very well priced, the cost for all 6 units is $450 with Free Shipping. Closing the Gap: Panthers on the Prowl!